The Joe Fresh Long Wear Liquid Lipstick retails for $8CAN at Zerhs or $10CAN at Shoppers Drug Mart for 6.5 ml / 0.2 oz of product. 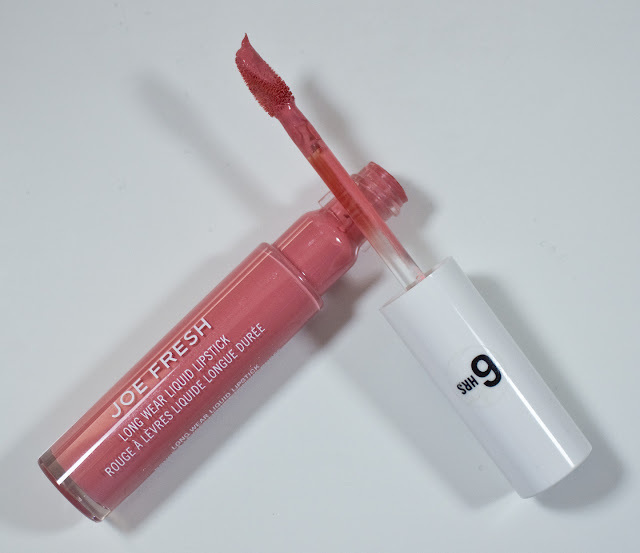 Joe Fresh Long Wear Liquid Lipstick in Kiss & Grapefruit. Box art. 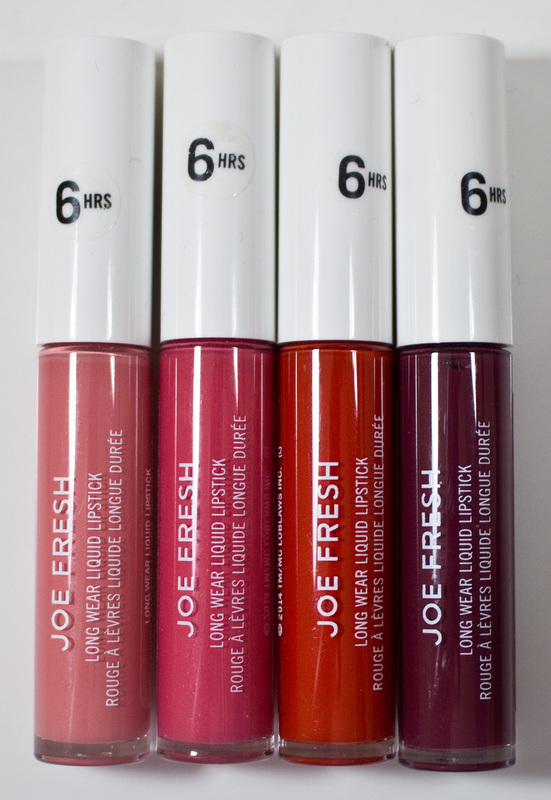 Joe Fresh Long Wear Liquid Lipstick in Rouge, & Plum. Box art and ingredients. This formula which launched 3 years ago (I know this is a very late post!!!) 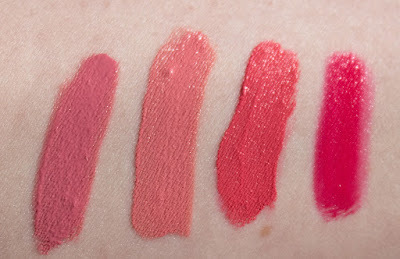 is what I consider the original drugstore dupe to the Too Faced Melted Liquified Long Wear Lipstick formula. 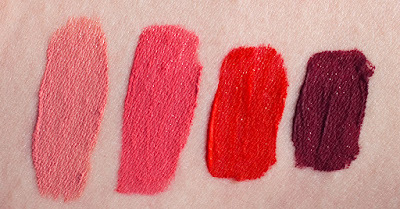 But I also still fine that after 2+ years use of these shades are it still even more pigmented than the Maybelline LipStudio Color Jolt Intense Lip Paint which is the latest drugstore liquid creme finish lipstick on the market. For the formula wear time, it behaves very similarly to the Maybelline in terms of how it fades on the lips. 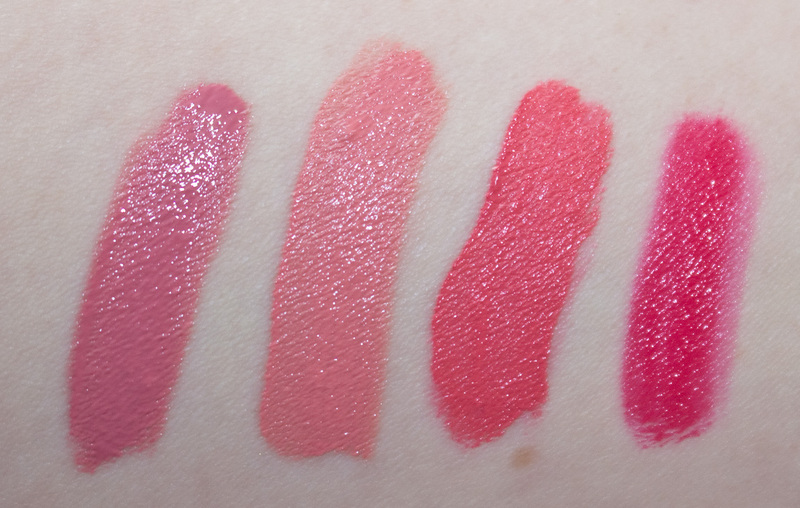 The shade Kiss does settle slightly in my lip fold lines but it's a pale shade and patting my lips together spreads it back out evenly again. 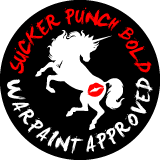 Kiss is a bright light coral pink with a cream finish. Grapefruit is a vibrant hot warm pink with a cream finish. Rouge is a with a cream finish. Plum is a with a cream finish. Wear: Wears for about 7 hours but found it started to fade after 5 hours. The more pigmented shade left a stain on my lips for the two darker shades. Packaging: A simple clear tube with teardrop applicator the dips inwards to grab more product. Daylight swatches: Too Faced Melted Peony, Kiss, Grapefruit, & Too Faced Melted Fuchsia. Flash swatches: Too Faced Melted Peony, Kiss, Grapefruit, & Too Faced Melted Fuchsia. 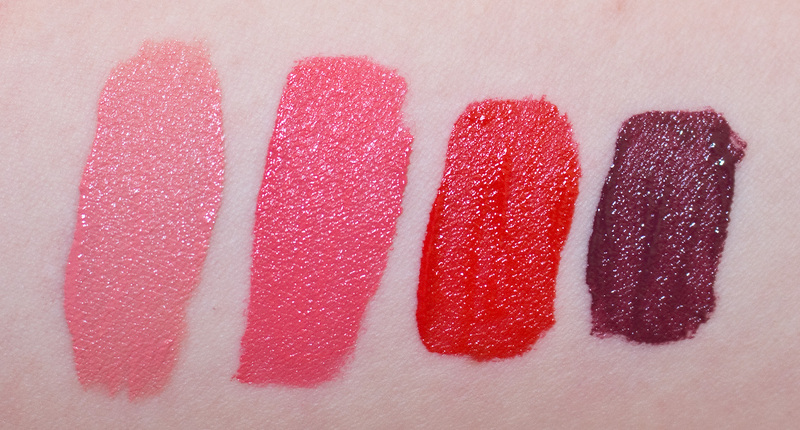 The Too Faced Melted Peony is bluer and darker compared to Joe Fresh Long Wear Liquid Lipstick in Kiss. The Too Faced Melted Candy is deeper and more vibrant compared to Joe Fresh Long Wear Liquid Lipstick in Grapefruit. I actually keep Kiss in my purse so it's been a keeper for me. The deeper shades has some slight bleed issue with Plum but that is mostly due to it catching on my skin texture so a lip liner will help with this dark shade.